A charming detached period cottage with a wonderful feeling of tranquillity, tucked away just off the High Street in the picturesque village of Blakeney. This spacious flint cottage is located a short stroll up the hill from the quayside, delightful restaurants, pubs, cafes, gift shops and art galleries. Mays Cottage is a wonderful cosy retreat in the winter, where you can snuggle up in front of the wood burner with a good book at the end of the day; and in the warmer weather this hideaway has a large communal grass area, just the other side of the sunny courtyard garden, so you can fire up the BBQ, kick off your shoes and enjoy a glass of wine while the children play. Mays cottage has bike storage for the more energetic, so bring your bike and explore this part of the beautiful North Norfolk coast, an area of outstanding natural beauty. 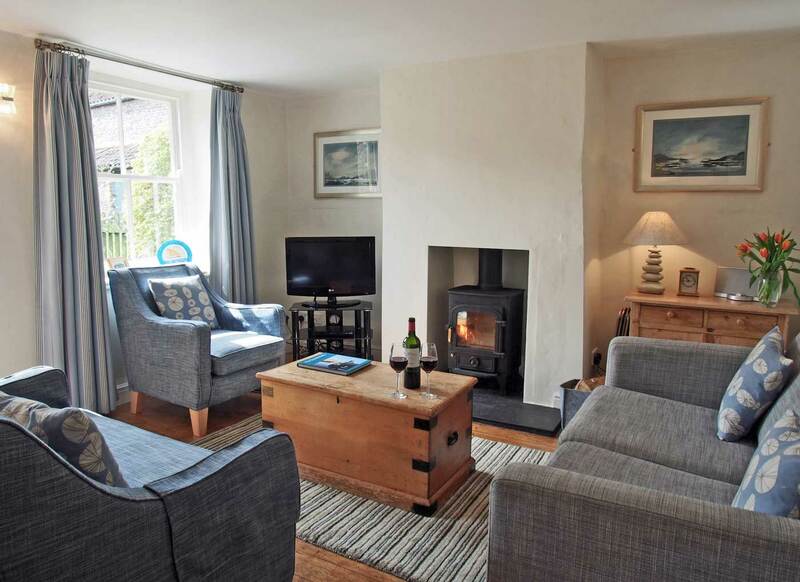 A wonderful holiday cottage at any time of year, for both couples and families alike. Shop/Pub: within walking distance. Living Room with wood burner, Samsung 32″ Smart TV, DVD, WIFI, selection of games and a door opening onto the sunny south facing courtyard garden. Dab Radio with Bluetooth. Arrival day is Friday. (Winter breaks can be more flexible, as can short breaks outside the summer holidays). Arrival time: 4.00pm – Departure time: 10.00am.